Public Library service in York grew from a subscription library established by the I.C. Sorosis in 1885. They started that summer. The collection was open for service in the fall, with just over 200 titles housed in a book case in a local dentist’s office. It soon became apparent the subscription library was insufficient for the community’s needs. Public funding for the library began in 1894, when the City Council committed property tax funds. A printed catalog for the collection from 1895 lists 1,048 books, 8 Reference sets, and “bound magazines.” The library moved several times. The next major milestone in the library’s history was Mrs. Lydia Woods’ bequest to build a public library and purchase books. The building opened in the fall of 1902. With several remodels and a 1931 addition, the Woods library building housed York’s public library for the next 8 decades. The announcement that Dr. William Sherwood Kilgore had bequeathed funds to build a new public library to be named in honor of his parents came in the fall of 1982. His gift built the 14,000-square-foot Kilgore Memorial Library at 520 Nebraska Avenue. It opened in the spring of 1986. 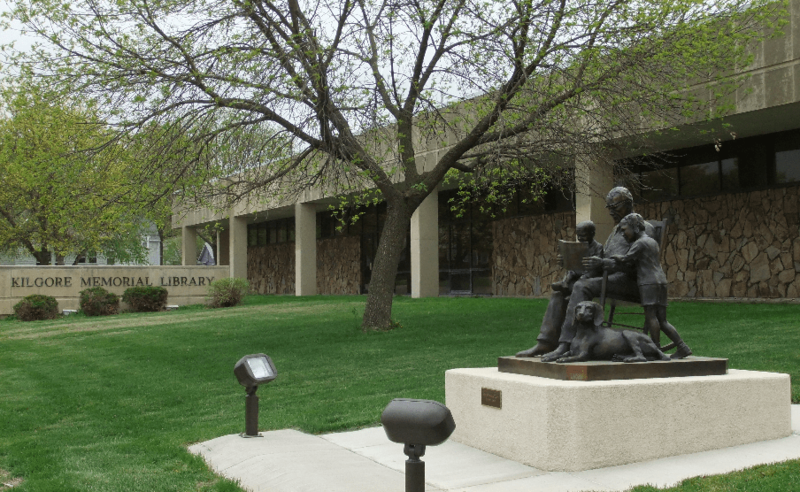 By its 20th Anniversary, Kilgore Memorial Library contained approximately 64,000 items including multiple media formats. More than 2,500 individuals borrowed one or more items annually, with annual average loan of approximately 75,000 items. The library’s automated system including catalog and loan functions, and a community resources database is supplemented by subscription access to a variety of electronic resources.